Quebec has become the first jurisdiction in North America to institute a so-called “burqua ban,” prohibiting government employees and any citizen using public services from wearing a face veil. Provincial politicians passed the measure on Wednesday after years of unsuccessful attempts to pass similar legislation. Initially Bill 62 would only have applied to provincial public services, like universities and public health care institutions. But recent amendments have expanded the plan to cover municipal services, including public transit, meaning women can’t wear the niqab or burqa when they’re on a bus or subway in the province. Provincial officials say the bill targets all face coverings and doesn’t discriminate against a particular religious group. But debates surrounding the measure have mostly focused on Muslim women who cover their faces. 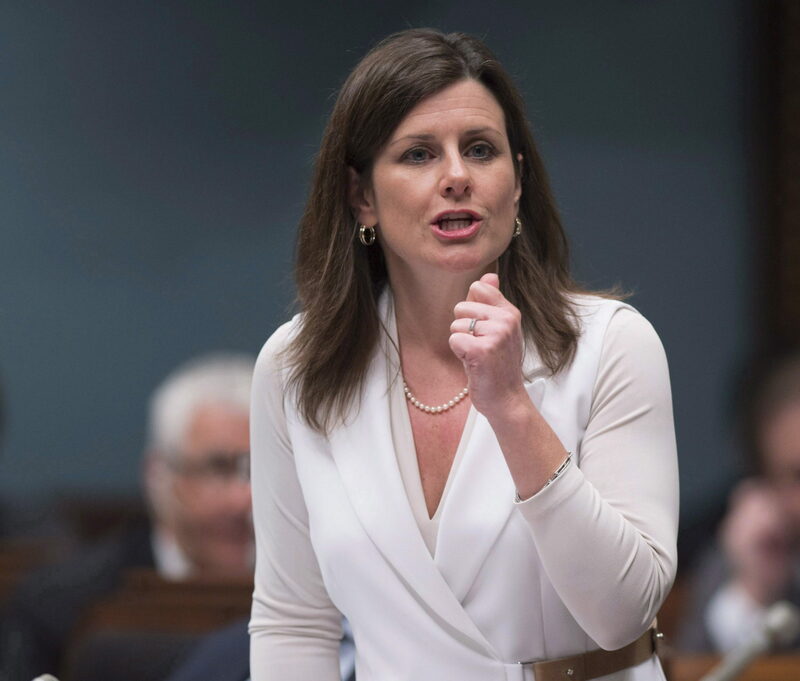 A woman will be required to show her face “as long as the service is being rendered,” Justice Minister Stéphanie Vallée said ahead of the vote where the measure passed on Wednesday morning. The legislation doesn’t say how government employees should respond when someone demands to be served with their face covered, so it’s unclear how the law will be enforced. A committee is expected to study various possible scenarios and produce recommendations, according to the province’s justice ministry. Guidelines for how requests for religious accommodations should be treated are also expected to come later, and the law will also likely see court challenges, according to legal experts. Quebec’s new rules follow similar legislation, and debates over religious accommodation, from Europe and beyond. Here’s a brief history of how the push to ban the niqab and burqa has progressed over the years. In France, which has some of the strictest rules on visible religious symbols in Europe, the issue has been a lightning rod for years. In 2004, the country banned religious symbols — including headscarves, large visible crosses, and turbans — from state schools. Lawmakers in Belgium voted to introduce a ban on full face veils, including the burqa and niqab, in public places in March. Violating the law is punishable with a fine and a jail sentence of up to seven days. The ban came into effect in July 2011, three months after France enacted the same rule. Also in 2010, Quebec’s Liberal government introduced a bill that would’ve required people to uncover their faces and identify themselves before receiving government services, but they lost an election in 2012 preventing the bill from becoming law. Under President Nicolas Sarkozy, France banned women from wearing the niqab in any public place, making it illegal for women to be outside the house with their faces veiled, unless they were in a place of worship or a passenger in a car. Wearing a veil in public became punishable by a fine of €150. Anyone who used threats of violence to force a woman to wear a veil could be fined up to €30,000 and sentenced to a year in prison. Out of about five million Muslims in France at the time, an estimated 2,000 women wore full veils. Bill 60, better known as the Charter of Values, was tabled by the Parti Quebecois (PQ) in November. It would’ve banned all public servants from wearing religious symbols including, hijabs, turbans, or yamakas. In January, the opposition Liberals promised to ban the niqab, burqa and chador, but said they’d do it through dress codes imposed by public administrations, rather than new legislation for “security, identification and communication purposes.” The Charter of Values died when the PQ lost the election in 2014, making way for the Liberals’ version of the ban. Former Prime Minister Stephen Harper had supported a plan to prohibit women from wearing full face veils when taking the oath of citizenship. The Harper government had planned on taking the case of Pakistani immigrant Zunera Ishaq to the Supreme Court, after two lower courts ruled in favor of her right to cover her face during citizenship ceremonies. The case became a contentious issue during the 2015 election, with Liberal leader Trudeau saying the niqab was dividing Canadians, and the Conservatives pledging to consider a ban on the niqab while providing or receiving federal services. With the election of Justin Trudeau, the Liberal government scrapped Ottawa’s four-year battle against allowing women to wear the face veil while taking the citizenship oath. In January, former British Prime Minister David Cameron backed banning face veils in schools, courts, and other public institutions, so long as there were “proper and sensible” rules around it. This came as the U.K. government introduced a number of measures meant to prevent British Muslims from becoming radicalized and joining ‘foreign terrorist’ groups — cracking down on gender segregation was part of the plan. In September, Bulgaria’s parliament banned the burqa in public in an attempt to boost security in light of Islamist attacks in other European countries. In November, the Dutch parliament voted to ban the burqa, and other face coverings like ski masks and helmets in “specific situations where it is essential for people to be seen.” The Senate must approve the partial ban before it becomes law. Unlike in France, Belgium and Switzerland, a previous attempt to ban the face veil in all public spaces— including on the street—failed in 2012, with lawmakers deeming the plan too far-reaching. Also in November, a legislator in the U.S. State of Georgia withdrew a bill that would’ve banned women from wearing face veils while driving, citing “the visceral reaction” the proposal had received. The bill would have amended the state’s anti-masking statute, designed to address hoods and robes worn by the KKK, by broadening the rule to burqas. Austria’s ban on full face veils in courts and schools took effect in October as anti-immigration parties dominated polls for its parliamentary election. The new law, which is expected to affect about 150 women, says that faces must be visible from hairline to chin in public. Austrian police can force women to show their faces. And women face fines of €150 for refusing to take off the veil. The ban was introduced as part of a larger series of measures designed to integrate immigrants. They include making new immigrants take classes in German language and Austrian values. Just a week after the ban was introduced, a man was fined for wearing a full-body shark costume.